I have a short story on a blog! Hazel B. West (author of the amazing Blood Ties and An Earthly King) runs a cool website called Tales From a Modern Bard, and has writing challenges there from time to time. The latest was “Inanimate Objects” and I couldn’t resist taking this excuse to write a story I’d been planning to write for ages. And now you can read it! The second thing has to do with the first thing. Although I participate in November NaNoWriMo/National Novel Writing Month each year, I haven’t done a Camp NaNo session in positively ages. I kind of stopped doing word challenges for awhile there due to burn out. But it’s been some time, and I wanted to try it out again. Plus you can set any sort of goal for Camp. So, hoping to get some small things like short stories done, I decided to go for it! So far for Camp I’ve written 5,813 words this month (that was A Tale of Two Boxes, so far) and I’m having a blast! It’s a wonderful feeling to write again, folks. I’ve missed it. So there you have my writing updates of late — I wrote a short story for you to read, and I’m doing Camp NaNo. I know — gasp! — I’m actually talking about writing on my writing blog. The strangeness! Speak to me, my Roadlings! I can’t think of a single non-writerly/non-readerly thing of interest, besides doing a phenomenal amount of blogging in June including catching up on all my tags. Which I am extremely proud of myself for. Basically I’m an ecstatic blogger at this moment. But! Writing and books! And lists. Let’s have some lists because lists are awesome. I did wriiiting! I’m so excited. Most of this year has been a slow arena in the writing world. I say arena because I halfheartedly wrestle my stories and they easily best me and then go sit in the shade and sulk without me. Which makes for a lonely writer… But! That changed in June because I was super inspired and ended up working on five different stories and pounding out 11k words! That may be small potatoes to some of the big writer folks out there, but for this little weakling, I find myself quite unusually proud of me. 5k of that was working on a couple of lesser stories in the Kedran’s Wood series, messing with Tare backstory which is fun (Son of Kedran’s Wood [0.5], and Return to McAllistair Mansion [1.5, short story]). Like 500 words of KW2, The Secret of Kedran’s Wood… yes, that’s slow right now. But happening! Which is still good! And most of all, I’m very excited about getting about 3.5k words of my short story Darkling Reflections written! I diiid hope to finish it in June but at least I wrote the middle part and now just have the final third to do. So. That’s kind of awesome. I will totally have to post some snippets because AAALL THE WRITING. I wanted to read way more than that, but apparently I got a goodly amount of reading done all the same… Huh. The Hobbit is a reread, naturally… and just as awesome as always. Alice in Wonderland and Through the Looking Glass (finally), as well as Stargirl and Love, Stargirl (totally random), were all small and rather mixed-feelings books that kind of left me a bit torn going “meh”, though they did have their merits I suppose. Anyways, that’s the reading I got done. A fairly good month, I guess? Here’s what I want to read… though I have no illusions (arium or otherwise har har) about actually getting them all read this month. BUT I CAN TRY. Plenilune… Erm… Yes, I started it on Christmas, so I’ve officially been in this book for half a year now. IT’S. SO. BIG. I’m only 137 pages in, out of 659… I may cry. Ahem. However, it’s kind of delightful so far in its way, just verrry slow to wade through. *puffs and pants and puts on little-engine-that-could mentality* I think I can, I think I can! And yes, I’m finally going to read The Scarlet Pimpernel. Because my bookclub is reading it. Every single person I know seems to have read and loved it and I’m always being told to read it. So I finally am going to, yay! I love stuff like that so I hope it will be awesome. I don’t know if I’ll get to Out of Darkness Rising and Mist of Midnight, but I’ve been dying to read both of them for so long that hopefully I will… They just look so delicious. See, that’s the problem with ebooks, they don’t fit beautifully on stacks on nightstands… *cough* BUT THESE ARE AWESOME ANYWAY, SO. Same with Five Enchanted Roses, which I’m SUUUPER excited and grateful to get to be an influence reader for Jenelle Schmidt’s entry, Stone Curse! *flaiiiil* Lookit that gorgeous. I can’t WAIT to dive into this. I’m very very excited. Expect a review on that sometime later this month too, hopefully! 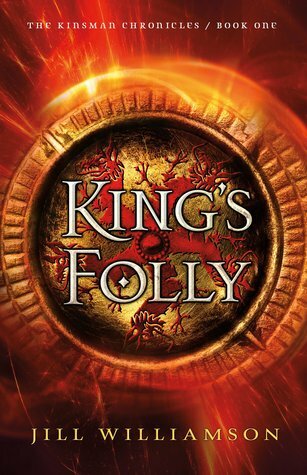 I just need to flail a bit about this: there is an official cover for Jill Williamson’s next fantasy book, King’s Folly! Read the post. It’s the first book in the Kinsman Chronicles, which are kinda-sorta prequels to the Blood of Kings Trilogy (which I love. A lot). So that’s what’s up with me! Did you have a good June? Have plans for July? Are you doing Camp NaNo?? Claire M. Banschbach tagged me for the 777 Writing Challenge awhile back, so I thought I’d do it! 🙂 Thanks for the nomination, Claire! And thanks Shantelle for letting me know! 😉 By the way, everyone — on a writing related note, Shantelle is looking for beta-readers for a Cinderella-ish novella, and I know from reading another of her works that she writes beautiful stories! ❤ So if that sounds up your alley, do drop by her lovely blog! The rules of this challenge are as follows: you go to page 7 of your work-in-progress, scroll down to line 7 and share the next 7 lines in a blog post, and tag 7 bloggers to do the writing challenge themselves on their own blogs with their own WIPs. And I’m working on two books, so here is a snippet from each! “More importantly: someone knows Tare?” Baz said. “Are you sure about this?” Ivy asked. It was a tumultuous mixture of heartrending emotion with aching sorrow at the core, shattering her, and the only thing she could think to do with it was to run up these stairs and speak with Prince Haldon. She reached the top, where she barely paused to catch her breath before flinging the door open. She stood in the doorway, breathing hard. The room was unusually dark, for the evening was getting on and only the last rays of sunset shone through the westward window, and a single candle burned in a holder on a table across the chamber by a canopied bed. In a chair halfway into the room, facing away from the window, a figure sprawled. The darkened room made it hard to see him, and Princess Evanna only got a vague impression of dark clothes and long dark hair. His face was in shadow, and he did not turn the whole way to look at her—indeed, he gave no movement or impression that he had even noticed her. And anyone reading this: if you’d like, feel free to snag the tag yourself and do it on your blog! As you may or may not have noticed, I haven’t been around here much this last month… I’ve been trying to step back from the internet a bit in order to get some stuff done. So here I am with a bit of a March overview! Here’s some of the ishness I’ve been up to of late. Other than that, I’ve been . . .
Not much on the writing front in March… I’m a little burnt-out, methinks, and have been stepping back from that a bit as well, giving it a rest. That said, I did get a little bit of writing done, and a bunch of plotting. I wrote nearly 2,000 words of snippets, some for my Kedran’s Wood series, but mostly for my latest story idea, which is still haunting me and refusing to leave. I also did a bunch of brainstorming on that one (because the characters are insisting they’re all messed up and broken so they made me write out backstories and relationships and I’m like GUYS THIS WAS SUPPOSED TO BE A LIGHTHEARTED THING. SERIOUSLY. *headdesk*), as well as for a possible candidate for this year’s NaNo — a Twelve Dancing Princesses retelling! Sooo… what’s up for this month? Well, for one thing, I’m not doing Camp NaNo. That may come as a shock to some (I did both Camps last year and the year before, after all, and have been doing the November one every year for 5 years…). I kind of really want to do Camp, especially when so many lovely friends of mine are doing it this time, but… I really feel like I need to step back from writing challenges for a bit, and try to rediscover writing because I WANT to write, not because some graph somewhere or some challenge I committed to says I SHOULD. I absolutely love NaNo, and Camp NaNo has helped me to write several things I’ve loved getting into, but I decided not to do it this time. 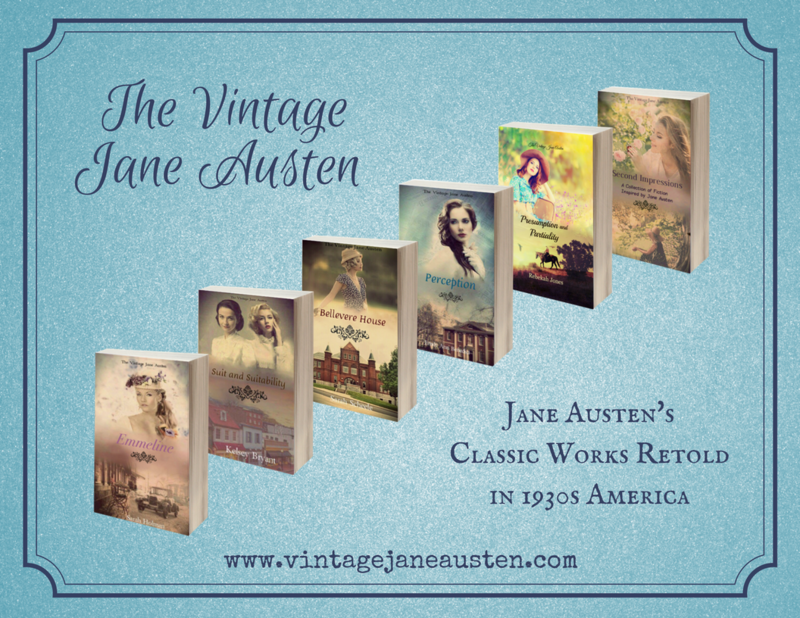 For those of you who are doing Camp NaNo, though — AWESOME! Best of luck! Write on, intrepid writers/campers! You can do this!!! Anyway, I’m not making many plans this month… I’m going to finish my editing and then see what else happens. So to be honest, I don’t know what April’s going to look like. All the yummy books I want to devour! How was your March? Do you have plans for April? Are you doing Camp NaNo (and why/why not?)? I worked on three different stories and passed my widdle-bitty 10k goal for a grand total of 11,177 words. ‘Twas a good month, and although to some it may not sound like much, I’m still quite pleased with the chapters I got written. Which brings me to the main point of this post: Snippets! Today you get some tidbits from each of the stories I was working on in July. On with the show. Half a dozen snippets from my Camp NaNo writing. Hope you enjoy! “It’s not stuffy,” Kenneth said. “Isn’t it,” was all Bremask said. “Swine,” Declan muttered under his breath. Artren laughed and reached into his coat. “Now, now,” he reprimanded teasingly. “He’s not all bad. As a small compensation for your cousin’s infamy, he gave this to me to pass on to you.” Artren tossed a small clinking bag across the sofa to Declan, who caught it in one hand deftly but with surprise. The corner of Artren’s mouth quirked. He winked but said nothing. Ellerion laughed his rumbling purr of a laugh, without the screech behind it. “And what would you ride then, Lord Achnor?” He purred the r‘s and there was mockery in his deep, dark voice. “Which is the only reason why I haven’t fed you to the Lake-Coiler long ago,” Achnor snapped, shaking back his dark hair with the blond streaks from his face. “Now shut your beak and fly.” He dug his heels into Ellerion’s flanks as if he were a horse. With a growl and a mighty beat of his gleaming black wings, the great shadowy Griffin leaped into the air and swooped off with his rider. Tare groaned again. Baz realized maybe he took this in a bad way, like they thought non humanness was bad. Really, they just saw him as the opposite of normal. That kind of not human. “Is that so,” Tare said skeptically. “Yeah. You know. Really awesome.” Baz paused and was met with a vacant look. “Come on, you can’t seriously not know you’re cool,” Baz exclaimed. Tare just looked at him. Adrian paused on the sidewalk and swung around, looking for the source of the quiet voice. There was nobody in the yard. “Adrian,” the voice said again. “Where is my voice coming from,” the voice said. Adrian blinked, swinging around a third time. Where was it coming from? It was disorienting.